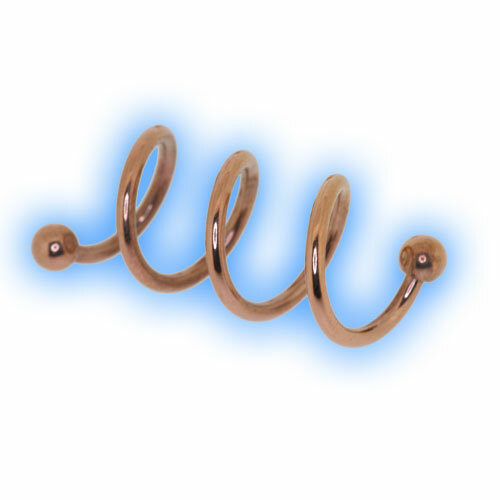 These multi loop spirals are ideal for a number of piercings but look especially good in ear piercings. Each loop has a 9mm spacing. An amazing looking piece of body jewellery that has been plated in 18k Rose Gold Plate.